During his time as Pittsburgh’s mayor, Bill Peduto has cultivated a persona as a leader who always has his finger on the pulse of progressive policies and cutting-edge technology. From driverless cars to fighting climate change, Pittsburghers have grown accustomed to hearing Peduto set bold goals to modernize Pittsburgh. And he regularly takes the city’s story to an international audience. Five years into being mayor, has Pittsburgh seen results from Peduto’s ideas? When the mayor was running for his first term in office in 2013, he cast himself as a policy wonk and issued 100 policy papers in the 100 days between February and the city’s Democratic primary that May. Some of those policy proposals — like reforming and modernizing the city’s Department of Permits, Licenses and Inspections — have been resounding successes. He’s also had success guiding the city out of Act 47, diversifying city government and positioning Pittsburgh to fight climate change. In October, the city won a $2.5 million grant from Bloomberg Philanthropies to aid the environmental efforts. PublicSource spoke to about two dozen sources for this story. Roughly a dozen of them spoke to PublicSource on the condition of anonymity either because they aren’t authorized to speak to the media or they were concerned about workplace retaliation. Those sources described what they see as a gap between Peduto's rhetoric and reality. That has left some of them disillusioned — both outsiders who used to support the mayor and former administration officials, and some have questions about whether the city needs new leadership when his term is finished. Peduto has publicly indicated he plans to run for another term in 2021. Peduto and his aides didn’t respond to multiple requests for an interview with the mayor for this story. In a phone interview with PublicSource, Allegheny County Executive Rich Fitzgerald said people shouldn’t be so quick to criticize the mayor. “If he says we’re going to do 100 things and we do 90 of them, I hope people don’t focus on the 10,” he said. Peduto won 69 percent of the vote in his re-election primary in May 2017. And he has since emerged as a leader in the face of tragedy, consoling the city after an anti-Semitic attack at the Tree of Life synagogue and marching with protesters after Antwon Rose II was killed in June (though he initially drew criticism for his reaction to the shooting on social media). During his tenure as mayor, Peduto has seen significant turnover at the highest levels of his administration. 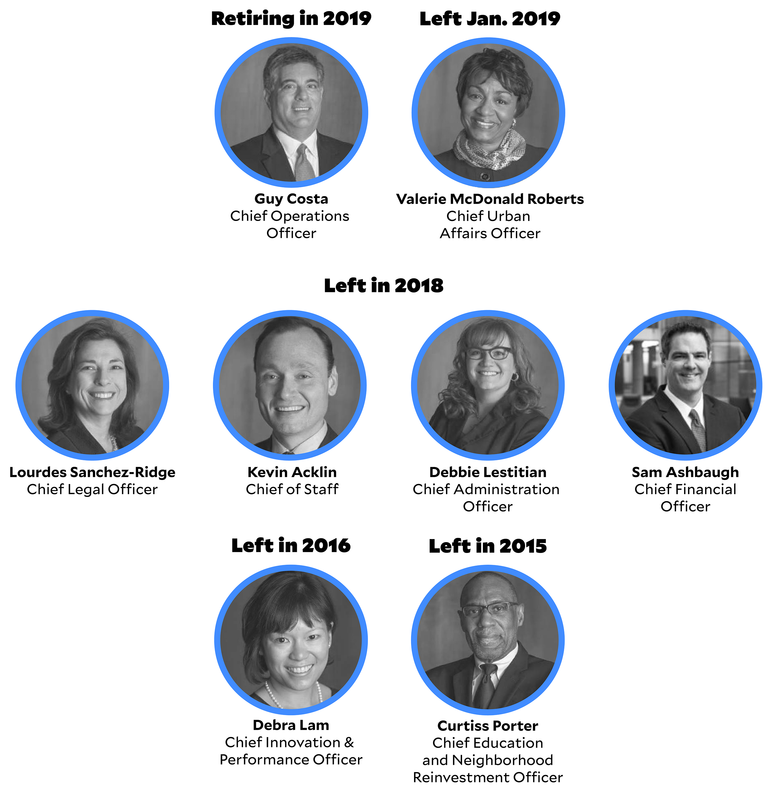 In 2018, the mayor lost four members of his cabinet: Chief Administration Officer Debbie Lestitian, Chief Financial Officer Sam Ashbaugh, Chief Legal Officer Lourdes Sanchez-Ridge and Chief of Staff Kevin Acklin. (Peduto’s current chief of staff, former District 8 councilman Daniel Gilman, assumed the position last January.) The mayor’s office announced on Christmas Eve that Chief Urban Affairs Officer Valerie McDonald Roberts would retire this year. And, when Chief Operations Officer Guy Costa announced he would be leaving the administration in early 2019, it marked the departure of the last original member of Peduto’s cabinet. In August, when the city announced Ashbaugh’s departure, Peduto said in a press release that the staffing changes are normal. “This is the kind of turnover that happens naturally in a second term,” he said. In a statement, Acklin said the mayor has done well given the current state of politics. “I believe the Mayor and his administration continues to work very hard to address the increasingly difficult problems facing our city during an era of political gridlock at the state and federal levels,” he wrote. The reasons people leave the Peduto administration vary. Two former administration members said they left because they found it difficult to implement the progressive policies they were hired to work on. Two other former administration members said dysfunction in the administration troubled them; one of the two was reportedly pushed out. Two current city employees who have worked under multiple administrations say they haven’t left and are biding their time until Peduto is out of office. Peduto and his administration have also made deliberate moves to replace city staff with new employees. Shortly after taking office in 2014, the administration instituted a Severance Incentive Program to encourage 65 employees to retire early, allowing Peduto to reshape several departments and make room for his political appointments. 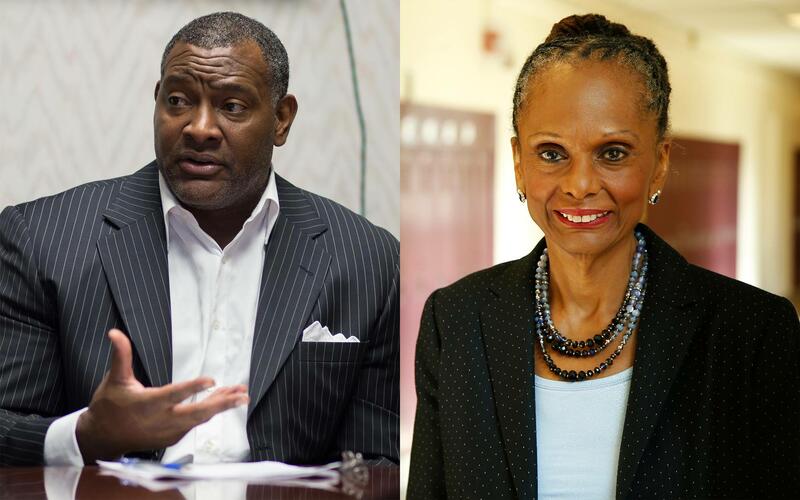 In late 2017, officials attempted to eliminate six longtime employees from the 2018 city budget; three of the six filed legal complaints alleging discrimination and other sources say those employees were targeted for personal and political reasons. To understand the effectiveness of Peduto’s administration, PublicSource reviewed the proposals Peduto set out as a guide for his time as mayor of Pittsburgh. Under Peduto’s leadership, Pittsburgh has earned a reputation as a hub of technology and innovation and a city teeming with incubators and startups. In evaluating his campaign proposals, Peduto earns credit for aiding startups and small businesses and promoting financial literacy in the city. The city and Urban Redevelopment Authority [URA] now host a startup incubator for budding companies each year, and the URA also issues micro-loans and other types of financing to businesses. Additionally, the administration has made progress on at least two programs to promote financial literacy: Bank On is already operating while the Pittsburgh Financial Empowerment Center is being developed. Peduto also followed through on his proposal to ease regulations on food trucks, which city council codified with legislation in 2015. George Dougherty, an assistant professor at the University of Pittsburgh’s Graduate School of Public and International Affairs [GSPIA], said Peduto’s been able to capitalize on the city’s resurgence. Dougherty was one of Peduto’s professors when he attended GSPIA, graduating in 2011. While Pittsburgh’s transformation began before he took office, Peduto emerged as a key voice for that narrative. “Those things were certainly going on before he became mayor and Pittsburgh was already being lauded...but I do think this administration has been able to take advantage of that and take it further,” said Dougherty, who also leads GSPIA’s master’s of public policy and management program. Peduto proposed reforms to the city’s PILOT system, or payments-in-lieu-of-taxes, to ensure Pittsburgh’s large nonprofits like UPMC contribute some funds to the city’s coffers because they don’t pay property or income taxes. Such a program, called “nonprofit payment for services,” existed until 2013 and provided the city with about $3 million from local nonprofits each year. The program discontinued under Peduto. As a sign of good faith to renegotiate the program with the city’s large nonprofits, Peduto dropped the city’s lawsuit against UPMC in 2014 and recently announced a plan called OnePGH that would reportedly infuse funds from UPMC, Highmark and some foundations into various city-run programs. A timeline for OnePGH’s rollout is unclear. Peduto also proposed creating a “Pittsburgh Art Corp” to create “25 to 50 paying jobs that create, maintain, and restore public art in specific neighborhoods throughout the City." That body does not currently exist, nor does the city host an artist in residence, as the mayor proposed. The mayor also campaigned on a proposal to give more city contracts to businesses owned by veterans, women and minorities. While Peduto has put new rules in place requiring between 7 and 18 percent of city contracts go to those types of businesses, it’s hard to track if those rules apply to cooperative purchasing, or piggyback contracts. According to data from the city’s Scout website, 91 percent of active city contracts were completed by piggybacking. While Peduto’s had successes with economic development in the city, gentrification has continued, most notably in the city’s East End neighborhoods of East Liberty and Lawrenceville. Poorer residents have been displaced to the towns and boroughs outside of the city. And Pittsburgh faces a shortage of more than 20,000 affordable units of housing, both homes and apartments. Activists and residents often criticize Peduto and his administration for aiding developers and slow-walking efforts to promote affordable housing. They cite Peduto's promise of two large-scale policies to curb blight and build affordable housing: a city-run community land bank and citywide inclusionary zoning. Neither is fully implemented five years into his time in office. The land bank is created and just started acquiring property a few months ago. 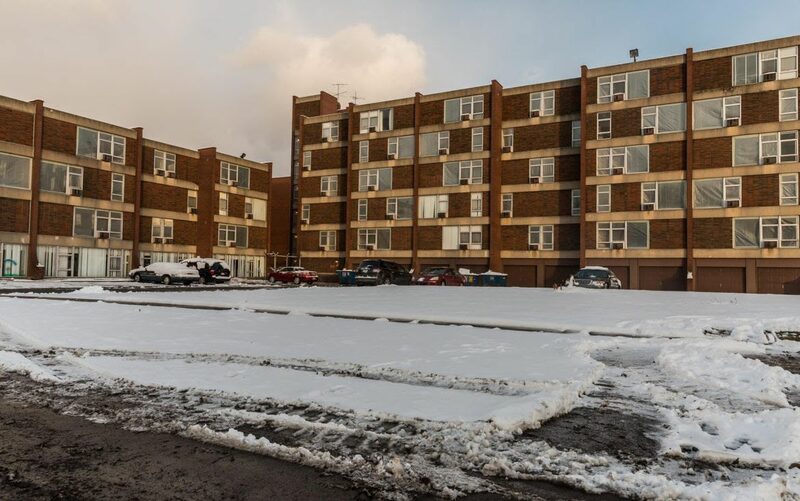 Inclusionary zoning is being piloted in three of the city’s 90 neighborhoods, but city officials said at a community meeting in October that citywide inclusionary zoning could be a long way off. If fully operational, a city land bank would buy up blighted land and hold onto it until a resident or community group could redevelop it for a good purpose. And citywide inclusionary zoning would create requirements for developers building market-rate housing to include a percentage of affordable units in their plans. Generally, Dougherty said, Peduto views himself and his administration as starting work that future mayors will have to finish. In the short term, Peduto’s willing to take some level of criticism, he said. “He seems to be willing to take a hit now and take some heat knowing that in the long run he and the city will be proud of it,” Dougherty said. Though Peduto didn’t issue an explicit campaign statement on affordable housing, he later issued several executive orders calling for more affordable housing. The affordable housing trust fund was funded with $10 million by the end of his first term. Also notable is the case of Penn Plaza from which more than 200 low-income residents were forced to move between 2015 and 2017. While Peduto’s administration intervened, the building’s owners eventually demolished the building. 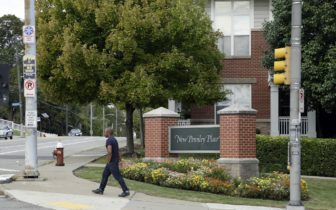 Meanwhile, the steady development of high-end apartments and stores has continued in East Liberty and other neighborhoods. “I think the biggest problem we've got going in our city right now is that we're driving black people out of the city, we're driving low-income people out of the city and that's because of the housing policies,” said Mel Packer, a longtime organizer and activist who’s often critical of Peduto’s administration. Read all 100 of Peduto's 2013 campaign proposals here. Peduto also said he would make reforms to the way the city doles out tax credits and handles public housing, but it’s not clear if those reforms were ever implemented. “...He was looking for good things to put in his 100 points, I guess. It could be beneficial and it's really necessary, we need it in the community,” Redwood said, but he added that he wasn’t surprised Peduto didn’t follow through. “It was just like politicians, they do that, make promises until they get elected and then they walk away from their promises,” he said. Even though the city has no control over the city’s schools, Peduto made some big promises on education when he ran in 2013. He talked up how important it would be to establish close working relationships with the Pittsburgh Public Schools district and its superintendent, but some former administration sources said there were icy relationships between the mayor and both former Superintendent Linda Lane and current Superintendent Anthony Hamlet. Peduto and Hamlet even publicly sparred last year over the district’s contract negotiations with its teachers. In a statement, Lane acknowledged that she and the mayor didn’t always get along. Peduto said he would cooperate with Pittsburgh Public Schools [PPS] to lobby Harrisburg for additional funding. But district solicitor Ira Weiss said Peduto never made such a trip. Peduto proposed coordinating with the district on public safety issues, including providing city cops with maps of each school to assist with incident response. City police spokesperson Chris Togneri did not reply to requests for comment on if it happened. Peduto also proposed working with the school system to rent out unused school space to increase district revenue. That hasn’t happened, Weiss said. Peduto also pitched working with PPS and partners like the YMCA and the Student Conservation Association to provide additional after-school programs for students. The city’s Parks and Recreation department has some involvement with a few PPS after-school programs but there isn’t a broader collaboration, said Errika Fearby Jones, the executive director of Hamlet’s office. Other initiatives that have failed to materialize include a summer reading program between the city and Carnegie Library of Pittsburgh (the library system runs its own summer reading program) and a plan to restart the Generations Together program with the University of Pittsburgh to promote cross-generational learning. Pitt shut the program down in 2002 and it hasn’t been rejuvenated since, according to Carrie Rodzwicz of Pitt’s Center for Social and Urban Research. “I see these as goals and aspirations as where he wants to go,” Fearby Jones said, explaining why some of Peduto’s education policy ideas haven’t come to fruition yet. One example of cooperation between Peduto’s administration and PPS is the public safety training program started at Westinghouse High School. That program serves as a pipeline for students interested in becoming police officers, firefighters or emergency medical technicians. Curtiss Porter served in Peduto’s cabinet as the chief education and neighborhood reinvestment officer during the first year of the administration. He said the city and school district had a good working relationship when he was there. But there was “a clear demarcation” between the two bodies, which made it difficult to implement some of Peduto’s specific initiatives. Peduto has followed through on hiring an early childhood education coordinator to promote his promise to establish universal pre-K for all Pittsburgh children, and city council created a $2 million fund in 2018 so childcare providers could apply for grants. PublicSource could find no evidence on if or how the funds have been spent. The mayor also fulfilled his goal to employ Pittsburgh youth with the city helping to run a robust summer youth employment program that employs 2,300 residents aged 14 to 21 in various fields at local nonprofits and businesses and helps young adults get internships in the STEM and corporate worlds. Porter also cited the successful implementation of My Brother’s Keeper, a nationwide program started by former President Barack Obama to provide resources and mentorship to youth, especially young black men. Porter helped to spearhead Pittsburgh’s implementation of the program, which included finding partners and resources and publishing a 91-page report on how the city and county could better serve young boys and men of color. Coming off of the scandal-plagued administration of former Mayor Luke Ravenstahl, Peduto proposed a slate of reforms to make government more transparent, accountable and modern. His record is mixed. By far his biggest achievement is guiding the city out of Act 47, the Pennsylvania law that imposes financial oversight of municipalities in financial distress. In Pittsburgh’s case, the state and an independent body regulated local budgets to improve the city’s financial future. Pittsburgh entered Act 47 in 2003 and had to fire employees, cut costs, balance its budgets and invest more in its pension fund. Under Peduto, the city has seen its pension fund level rise and has enjoyed healthy budget surpluses for the past few years, according to City Controller Michael Lamb. Another of Peduto’s major achievements has been reforming the Department of Permits, Licenses and Inspections [PLI] from a stone-age bureau working with pencil and paper to one of the city’s most data-focused and transparent departments. Open data, online forms and interactive maps like Burgh’s Eye View set PLI apart from less tech-savvy departments. Peduto has also successfully reformed the city’s 311 system — a tool for residents to report potholes and other non-emergency issues in the city. The system is now able to handle more requests from citizens and it’s easier to submit a request. Peduto proposed to create a city-run mobile app for 311 requests, and the MyBurgh app has done just that since early 2016. 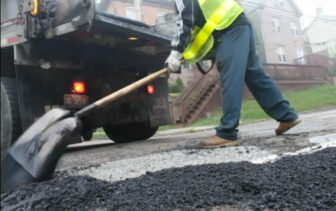 Potholes and street paving remain a perennial problem, but Peduto is setting aside $20.3 million for street resurfacing in 2019 — a more than $3 million increase from 2018. An additional $6.8 million is set aside for various landslide remediation projects. Peduto also introduced the city’s first snow plow tracker. When it becomes operational again, residents can use it to know if and when their streets will be plowed. The city said the tracker isn’t currently working due to repairs. When it comes to technology generally, the city has helped to expand access to free WiFi in certain areas around the city and in city-owned buildings. As Peduto indicated, the city also hosted Code for America fellows, who helped create the city’s Scout website for tracking procurement. Peduto also fell short in a number of areas where he indicated he would make progress. For example, Peduto proposed having the city revamp a second app, iBurgh, to alert residents to everything from crime in their neighborhoods to how long their commute home will take. The app was developed and online for a period of time when Peduto was a council member; it appears to have gone offline in 2010, according to the Twitter account associated with the app's builders. When Peduto was running for mayor, he promised to open the city’s books and be the most accessible mayor in Pittsburgh’s history. The city has made some strides toward transparency, including helping to create the Western Pennsylvania Regional Data Center that hosts dozens of city data sets. But the efforts have fallen short in some key areas. For example, the city doesn’t make full checkbook-level spending data or city employee salaries readily available. Further, details about city contracts aren’t always clear or up to date. The city also went to court to prevent several news organizations from obtaining information about its bid for Amazon’s second headquarters. The infrastructure of city technology also has shortcomings. In December 2016, the consulting firm Deloitte completed an audit of the Department of Innovation and Performance, finding the city lacked a centralized way of making technology decisions, relied too heavily on customized software and had multiple data security vulnerabilities. The department is also on its third director in five years. Peduto also said he would make reforms to Pittsburgh’s boards, authorities and commissions. While Peduto has diversified those bodies, he also said he would streamline the work that some of them do so the city could shutter ones that are inactive. However, the number of active boards, authorities and commissions appears to have grown under Peduto — from 31 active bodies under Ravenstahl to 35 now. The mayor also proposed to have an online suggestion box for citizens to propose changes to city government. The city’s website doesn’t currently have such a feature. 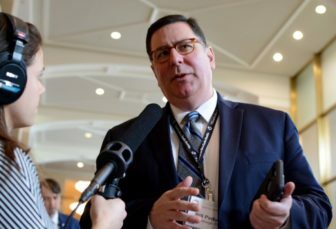 Peduto gained national attention for his efforts to fight climate change when he rebuffed President Donald Trump for withdrawing the United States from the Paris Climate Accords in 2017. Some local activists, though, say Peduto doesn’t go far enough on environmental issues. 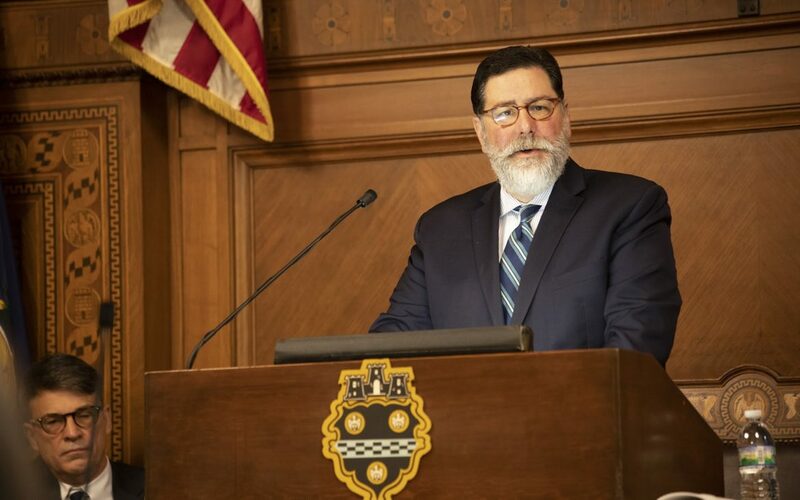 Among Peduto’s successes have been commissioning several resiliency studies and setting the city on a path to reduce its carbon footprint over the coming years, including the release of the city’s third climate action plan. To that end, Pittsburgh was recently awarded a $2.5 million grant from Bloomberg Philanthropies to aid its efforts to reduce emissions from cars and buses by 50 percent and to use renewable energy sources for all internal city operations, among other initiatives. Peduto has also successfully implemented legislation that creates benchmarks for how much energy large buildings in the city use. The city has started collecting that data. The mayor also gets credit for increasing the number of green spaces in the city, including in Larimer after his administration landed a $30 million federal grant early in his tenure. With Peduto’s support, the Pittsburgh Water and Sewer Authority [PWSA] and the Allegheny County Sanitary Authority [ALCOSAN] have been spending more money on green infrastructure projects around the city and county. Since 2017, ALCOSAN has invested more than $22 million in green infrastructure projects, PublicSource previously reported. And in its 2030 plan, PWSA outlined more than $85 million in green infrastructure projects. Another consequence of Peduto’s work on environmental issues is that private developers are now including green infrastructure and other environment-friendly features in their plans for new buildings, Fitzgerald said. “Their leadership has helped us,” he said. “There’s always been good intentions but it’s at such a glacial pace that it’s been disappointing." Peduto inherited a PWSA fraught with management problems and a crisis of lead in the city’s drinking water. Solutions have been slow. The city offered free water filters in summer 2017, but distribution was delayed and the program was discontinued shortly after it began. And, due in part to a questionable legal interpretation, PWSA only began a robust program of replacing lead lines in 2018, nearly four years after the crisis began. Peduto’s campaign proposals also included ambitions to build permeable alleyways, fight food insecurity and implement two nearly decade-old laws to improve Pittsburgh’s air and water quality. One of the laws is operational and imposes regulations on stormwater and other runoff from construction sites. The other law says new development can't pollute the air, meaning companies would have had to retrofit machines on construction sites, such as bulldozers and dump trucks, with devices to filter the diesel emissions. Rachel Filippini, the executive director of the Group Against Smog and Pollution, has been working with the city for nearly a decade to get the clean construction bill passed and implemented. She said in 2011 when the law was new, other cities saw it as a model of progressive legislation. But now, eight years later, she sees it as a missed opportunity. “There’s always been good intentions but it’s at such a glacial pace that it’s been disappointing,” she said. City council revised the clean construction bill in 2016 and limited the scope of the legislation to only city-funded projects that cost $2.5 million or more. No projects have met that threshold to date, though the requirement would pertain to repairs slated for 2019 on the McFarren Street Bridge in Hazelwood. Peduto’s also earned criticism from activists, particularly Pittsburgh United, for his support of plans that would privatize part of PWSA. Peduto said at a Jan. 3 press briefing that while he’s still open to entertaining bids from companies to fix or reform PWSA, he’s not open to privatizing the authority wholesale. “We've taken that out of the equation. We're not looking to privatize the water department,” Peduto said. 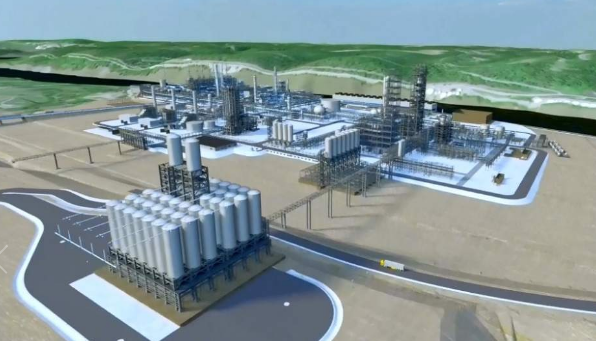 Though not tied to a specific policy proposal, some local activists have also criticized Peduto for not speaking out against Shell’s Petrochemical Complex (commonly referred to as the “cracker plant”) in Beaver County. On a Jan. 3 episode of WESA’s The Confluence, Peduto explained that from a “personal” standpoint he doesn’t support the plant, which critics say will contribute to pollution in the region. But he doesn’t speak out against it because the city does not have any jurisdiction over it. Keyva Clark, one of Peduto’s spokespeople, has also told Pittsburgh City Paper that the mayor can’t speak for the residents of Beaver County “just as they do not speak out about the policies Pittsburgh is establishing.” Peduto also said he doesn’t want to endanger the relationships he has with the city’s universities, corporations and nonprofits and with lawmakers in Harrisburg. In his list of 2013 campaign proposals, Peduto also said he would fight food insecurity, which occurs when residents have inconsistent access to nutritious food. Peduto proposed establishing a “fresh food fund” to give loans to entrepreneurs willing to open food markets in underserved neighborhoods and a city-run “farmers market on wheels.” Neither has been implemented. Peduto promised sweeping reforms to the Pittsburgh Bureau of Police, but the bureau is not as far along as the mayor said it would be. The bureau still overwhelmingly consists of white officers, though its recent recruit classes are more diverse. When Peduto took office, 85 percent of the bureau was white. Now, 82 percent are white. And Peduto’s “reformer” police chief, Cameron McLay, served for two years before moving back home to Wisconsin. 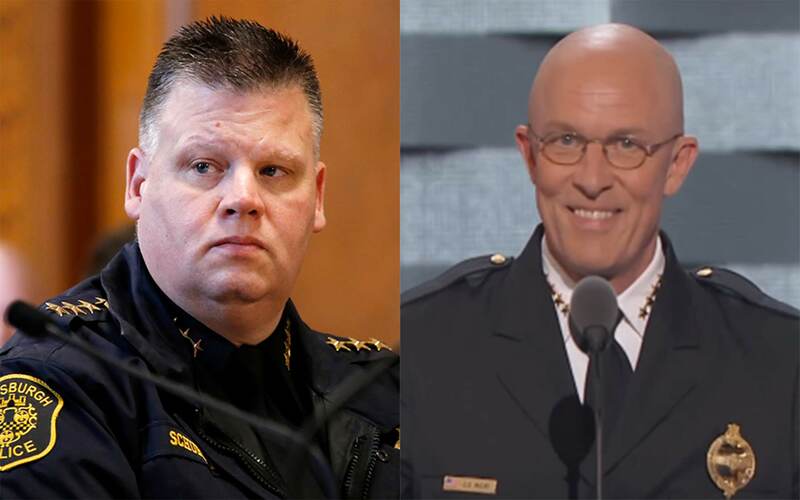 After Ravenstahl’s police chief was sentenced to federal prison for corruption, Peduto looked to McLay to clean up the bureau. Still, new scandals have emerged. Last year, an officer filed claims of discrimination and retaliation after he raised questions about the relationship between the bureau and the Plum-based software firm B-Three Solutions. The lawsuit is pending in federal court. Peduto has championed a focus on community policing, but that hasn’t always translated to better relations with the residents. While officials cite better community relations as a reason homicides are decreasing, and officers host more events in the community, police have, on occasion, still deployed to peaceful protests with body armor and rifles, a practice Peduto himself has criticized in the past. The bureau has also made efforts to post more of its data online (e.g. on firearm seizures) and to create interactive maps, some of which are available on the city’s website and others which can be accessed through the Western Pennsylvania Regional Data Center. Peduto fulfilled his promise to give all crossing guards two-way radios so that they can better communicate with officers on duty. Still known to some residents as “bike lane Bill,” one of Peduto’s longest lasting legacies may be expanding infrastructure to bicycle throughout the city. Via his “Complete Streets” initiative, Peduto has incrementally reshaped the city’s transit infrastructure by improving sidewalks and crosswalks, installing bike lanes and using new technology for traffic and pedestrian signals. That’s something Scott Bricker, the executive director of Bike Pittsburgh, praises the mayor for. 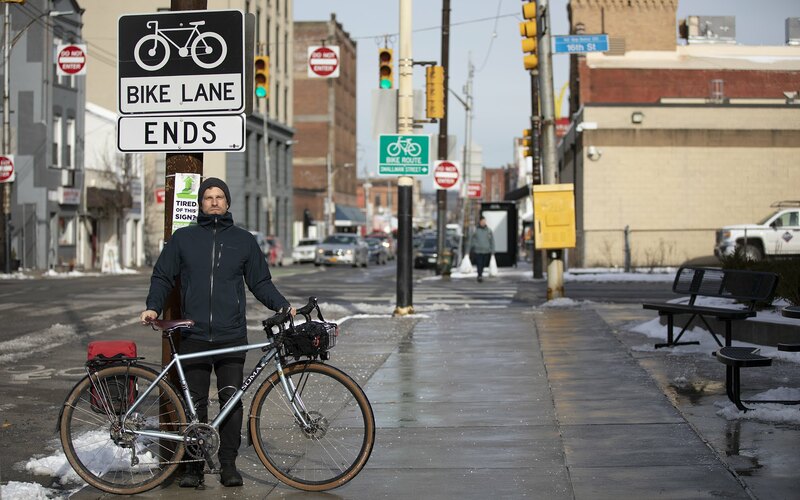 While Bricker’s organization has been at the forefront of calling on Peduto to install bike lanes and make streets safer for pedestrians, he said the Complete Streets policies to promote safe multi-modal transportation are working. “There's been a fair amount of progress on the things that we care about at Bike Pittsburgh. We're being listened to, there's money where the rubber meets the road, there's money being allocated to these things,” he said. Although it wasn’t on his list of 100 policy proposals, the city has also been involved with the planning and funding of a Bus Rapid Transit [BRT] project that aims to better connect Downtown, Oakland and several other city neighborhoods. Fitzgerald said this project will work in concert with Peduto’s climate goals. “The BRT is going to be one of those signature projects getting people out of their cars,” he said. Other Peduto transportation initiatives have also been successes, even if they’re not citywide. For example, with the help of Carnegie Mellon University, the city’s Parking Authority piloted dynamic pricing for city parking meters in several neighborhoods, meaning the amount the city charges for street parking changes throughout the day in response to demand. However, dynamic pricing likely won’t become a norm in Pittsburgh for some time, according to the Parking Authority. The city has also relaxed parking requirements for new developments in several neighborhoods, meaning developers don’t always have to build new parking infrastructure. That can, over time, encourage people to depend on cars less and rely on public transit instead. Laura Wiens, executive director of Pittsburghers for Public Transit, lauded the city’s efforts to study zoning in the city as it relates to transit and transportation. However, she said she finds it “weird” that the city doesn’t put any funds toward public transit. Wiens said she’d like to see the city partner with the Port Authority of Allegheny County, which runs the region’s buses and trolleys, to design zoning and development rules around transit, also called Transit-Oriented Development [TOD]. Clarification (2/22/2019): The story has been updated to clarify the action taken to review the ethics of a private business opened by police and public safety employees. This story was fact-checked by Mary Niederberger.